16,23 g, Crowns of the house of Habsburg - Imperial Crown of Austria, 2012 - Moro & Kunst d.o.o. Originally the personal crown of Emperor Rudolph II, the Imperial Crown of Austria can now be yours. 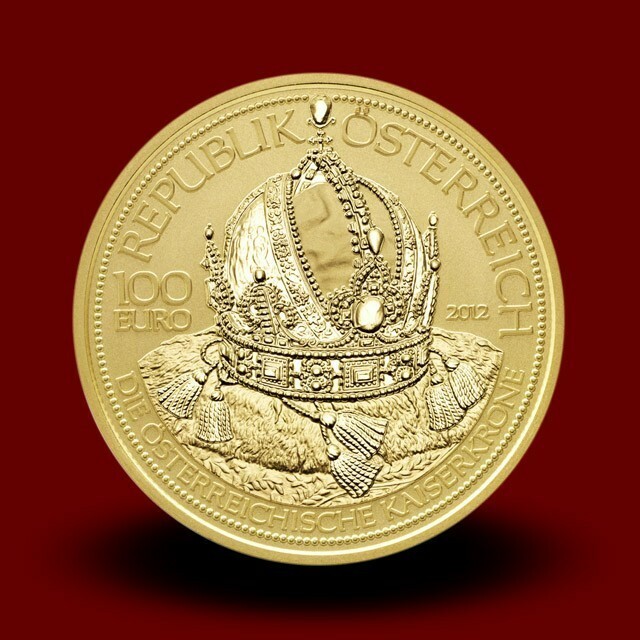 The last 100 euro gold coin in our majestic five-coin Crowns of the House of Habsburg series, it is every bit as impressive as the spectacular crown itself. Housed today with the other Austrian Crown Jewels in Vienna’s Schatzkammer, or Imperial Treasury, the crown was made for Rudolph II in Prague in 1602 by one of the leading goldsmiths of the age, Jan Vermeyen of Antwerp. Consisting of three parts, the circlet, high arch and mitre, the crown is depicted in all its glory on the coin’s obverse between the 100 euro denomination and year of issue. 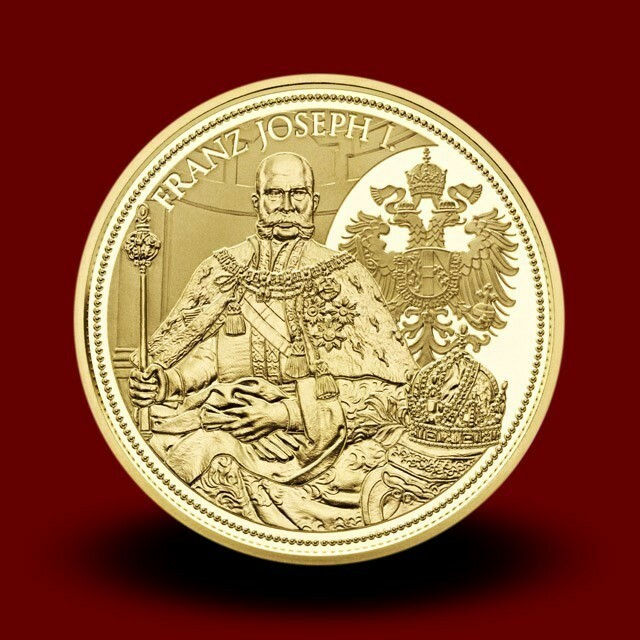 The coin’s reverse shows a likeness of the crown and Emperor Franz Joseph I (1830-1916) – during whose reign the Habsburg Empire drew to a close – from a painting by Julius Viktor Berger, which hangs in Vienna’s Supreme Court of Justice. Struck in 986 fine gold, exclusively in Proof quality with a maximum mintage of 30,000 pieces, each coin comes in an attractive box with a numbered certificate of authenticity as well as a replica lapel pin. A prestigious collection case for the whole series of five coins may be purchased separately.